Home Screenshot from the Award Winning Best Providence Web Design Firm Oomph, Inc.
Services Screenshot from the Award Winning Best Providence Web Design Company Oomph, Inc.
Work Screenshot from the Award Winning Top Providence Web Design Agency Oomph, Inc.
Oomph is a digital marketing agency that was founded in 2006 and is based in Providence, Rhode Island. 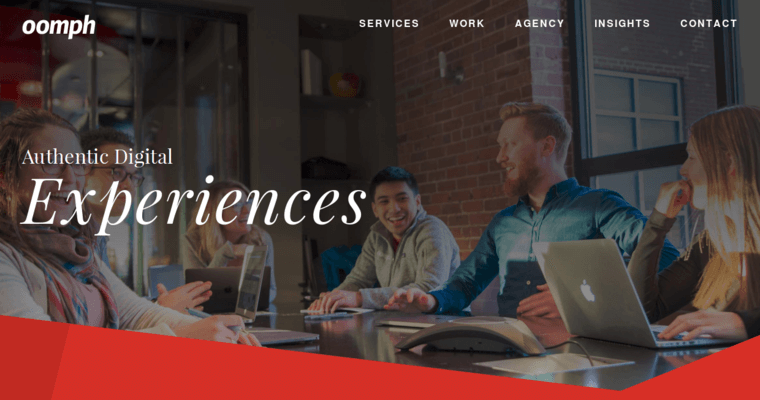 The company provides services that include search engine optimization (SEO), content strategy, website design and development, web analysis, and digital strategy. 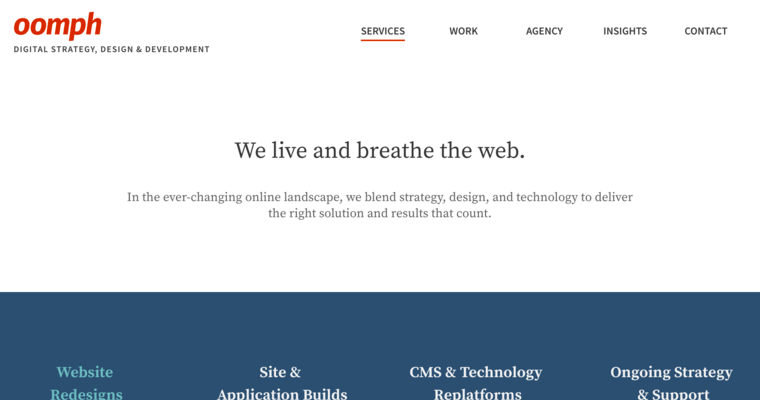 Oomph also provides technical support solutions, such as security audits, information architecture, content migration, website maintenance, HIPAA compliance, and performance and scalability testing. 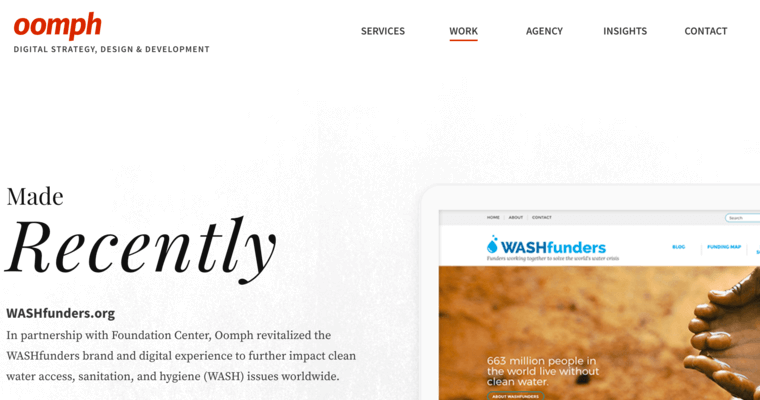 Clients that have come to rely on Oomph’s expertise include Leica Geosystems, WASHfunders, Center for Creative Leadership, J.D. Power & Associates, Keep America Beautiful, United Way, Saludmovil, Reader’s Digest, NBC, the New England Sports Network (NESN), and The Counselors of Real Estate. Learn More about Oomph, Inc.